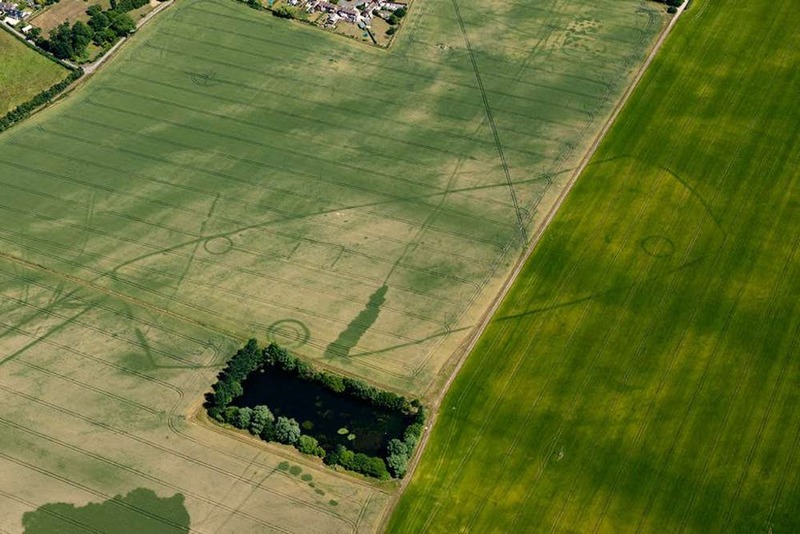 A hot summer revealed a hidden history beneath the dried-out fields – but only when seen from the air. 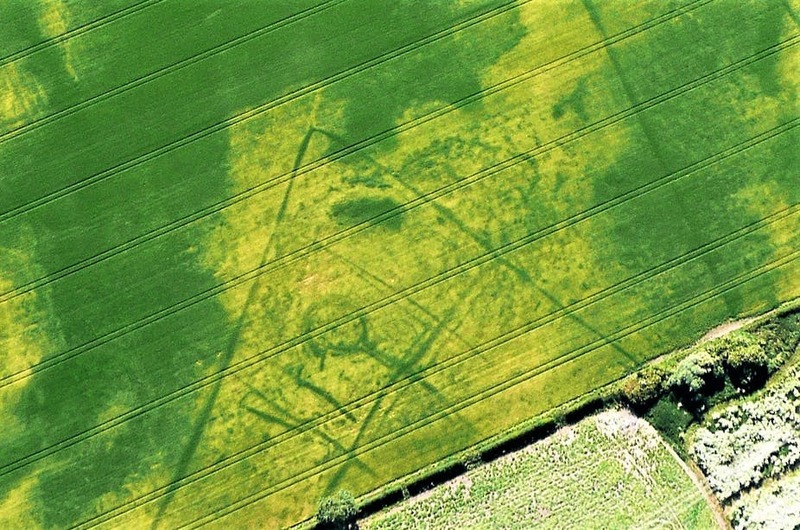 For an aerial archaeologist 2018 was a bumper year. 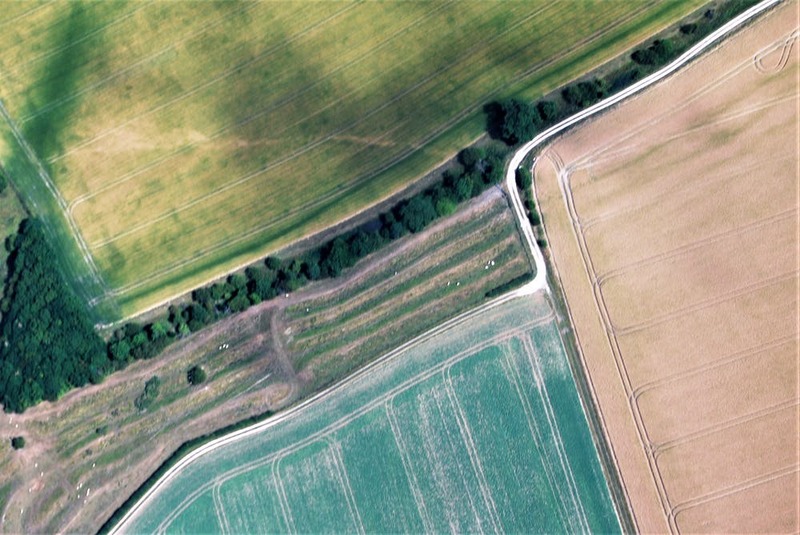 The long, hot summer revealed ancient landscapes not visible from ground level, but easily recognised in fields of growing crops from the air. What made the summer of 2018 so remarkable is that the winter and spring was so wet that plants grew relatively shallow roots, having no need to search deeply for water. So when the drought came this summer, those plants that grew over buried features such as ditches and pits benefited from the greater store of water retained in the infilled soil. 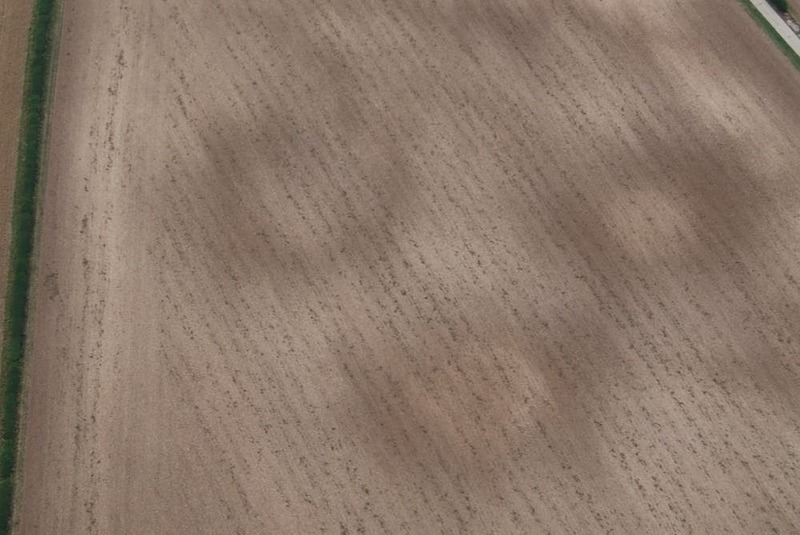 Well-drained sandy soils and those over chalk are particularly conducive to revealing features through cropmarks. 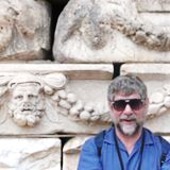 I have discovered hitherto unknown sites and, in other places, greater detail at already recorded sites. 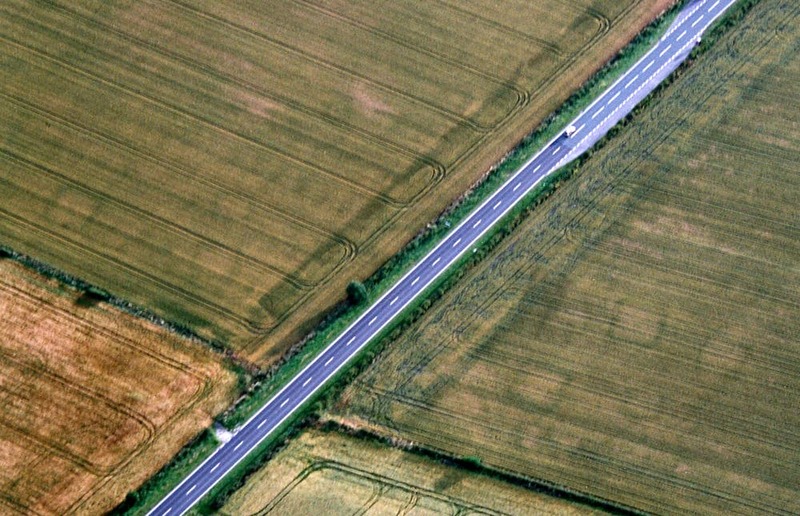 These include Bronze Age round barrows, apparent as rings in the crop, the characteristic square barrows of the Iron Age Arras Culture, and linear features running across the landscape from Iron Age and Romano-British farmsteads and other settlements. Collaborating with Tony Hunt of Yorkshire Aerial Archaeology and Mapping, for the first time I also used drones. Although these are subject to altitude restrictions, a good quality camera on a drone guided along pre-programmed tracks by GPS can gather precise images. 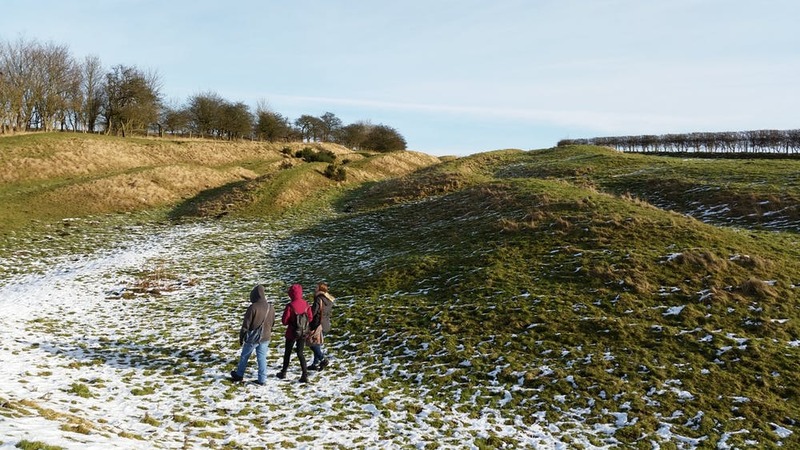 The hundreds of overlapping images can be combined to provide a huge two-dimensional mosaic image, or processed to create 3D imagery, an elevation model, or to colourise the images in order to make the hidden archaeological features more visible. While the drought of 2018 seriously affected crop yields, it provided a rich harvest of a different kind, one that will take a considerable time to digest. Originally published by The Conversation, 08.17.2018, under the terms of a Creative Commons Attribution/No derivatives license. This entry was posted in Uncategorized and tagged Aerial, Ancient, Archaeology, History, Prehistoric. Bookmark the permalink.